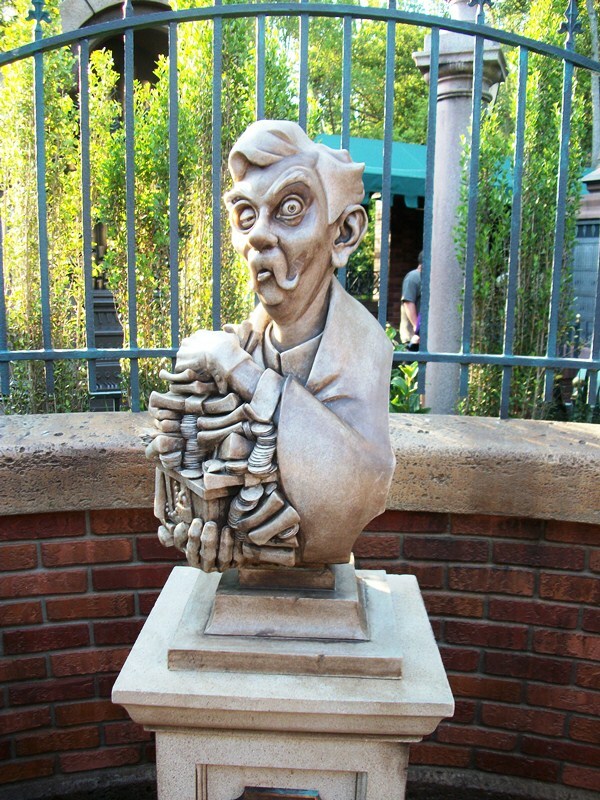 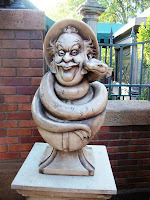 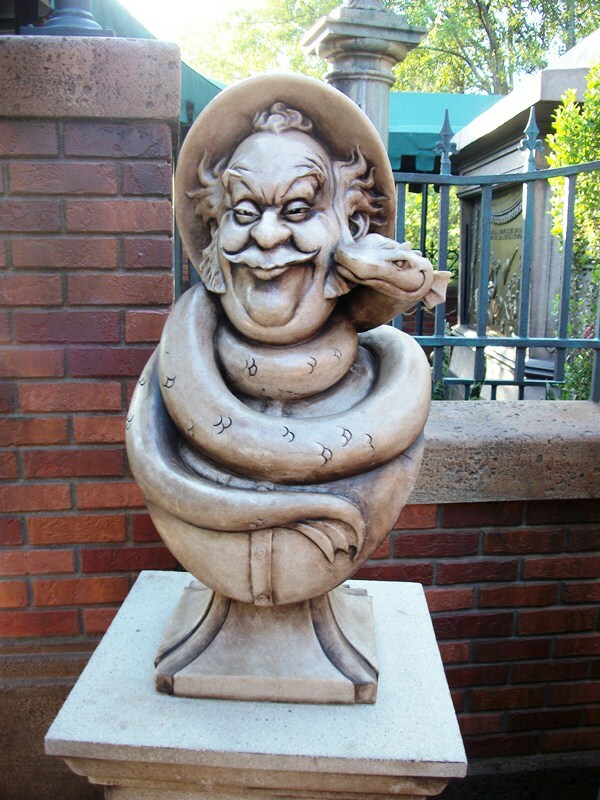 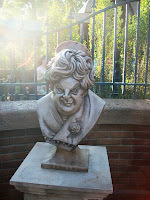 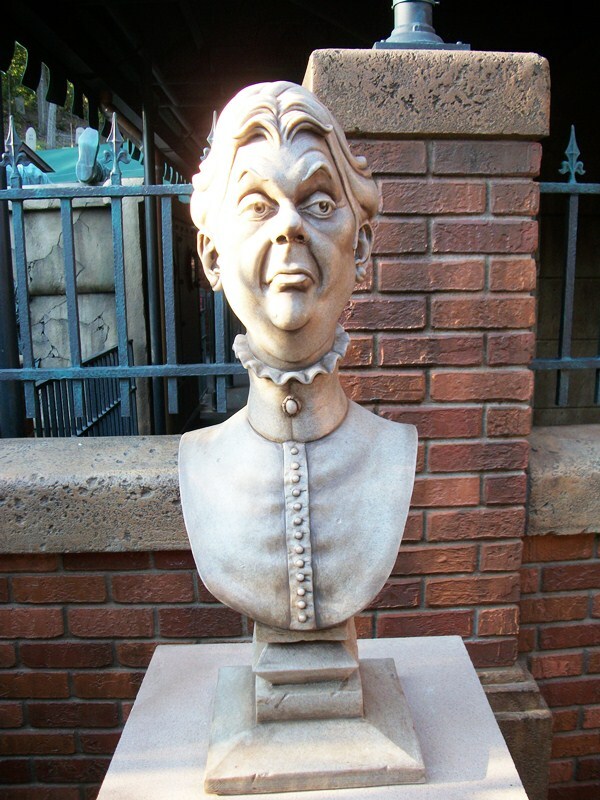 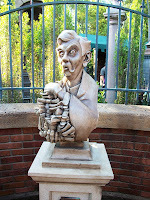 The new interactive queue for the Haunted Mansion includes ghastly musical interludes, ghostly verse and a spitting, sputtering, leaking tomb. 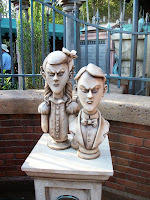 Yet, mixed in and around these elements are the silent gravestones, in addition to some new markers, whose clever wordplay and Disney references have entertained guests for forty years. 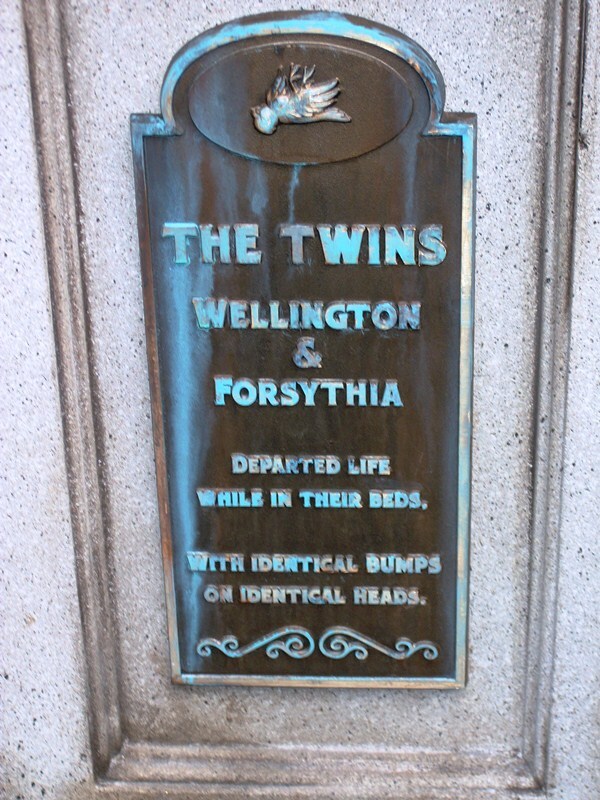 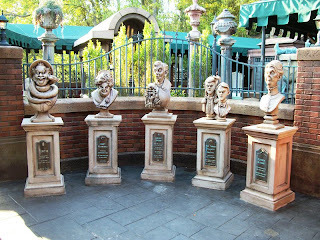 At the entrance to the active cemetery is a set of five busts that melds the static humor of the original tombstones with the interactive tilt of the other new components. 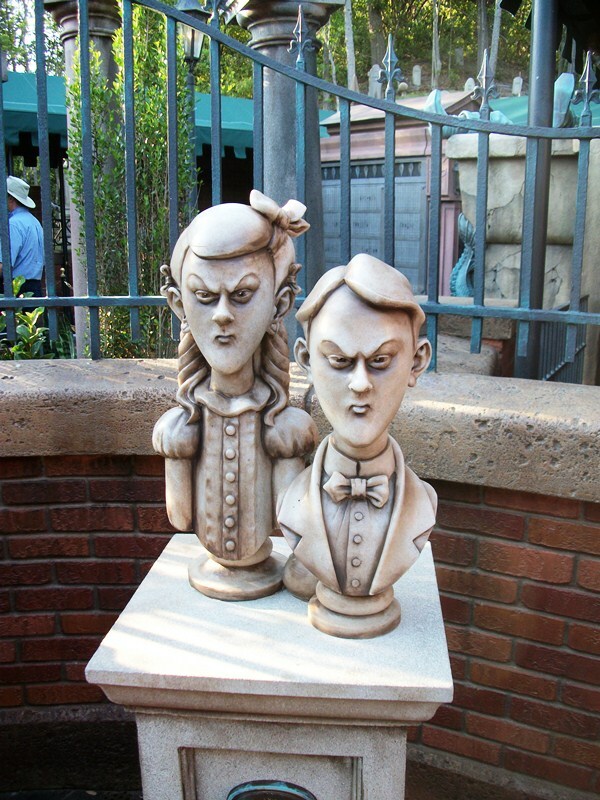 The five busts feature members of the Dread family: Cousin Maude, Wellington and Forsythia (also known as The Twins), Uncle Jacob, Aunt Florence and Bertie. 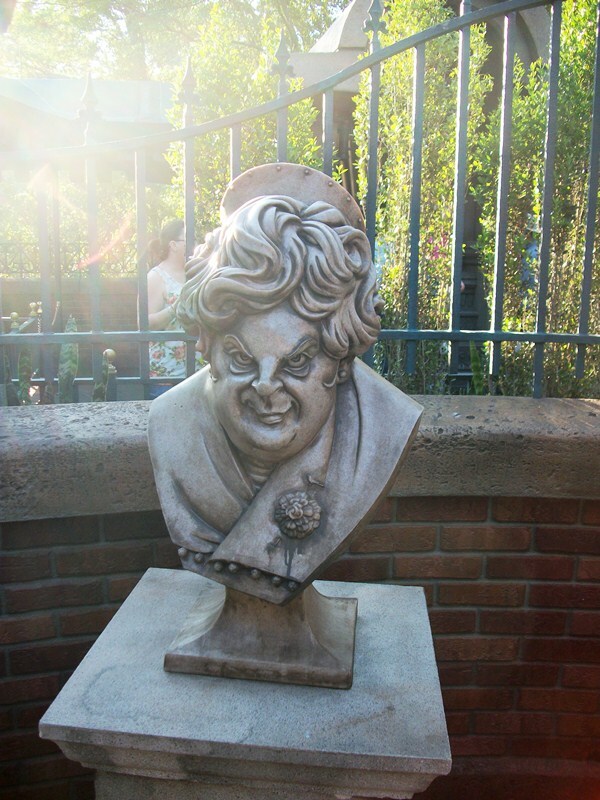 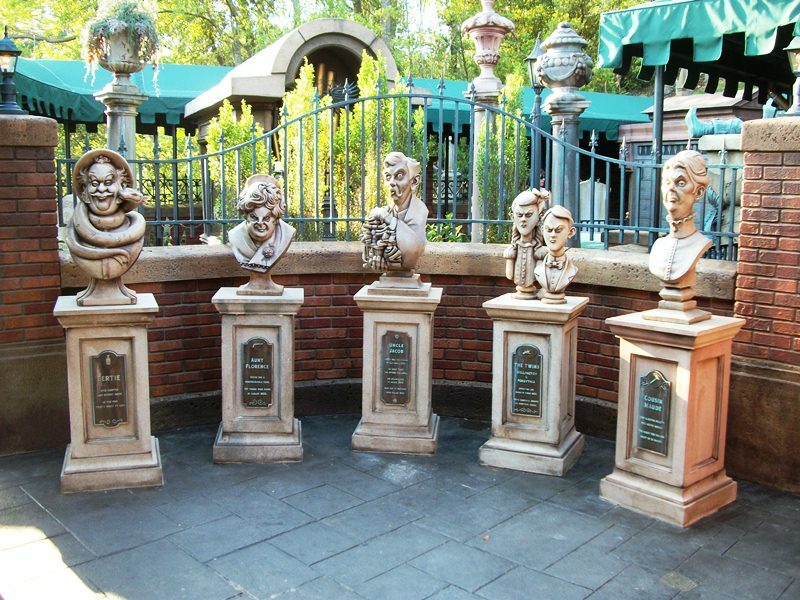 The manner in which their lives were cut short are engraved on each bust’s plaque, which is as much attention as most guests give the busts. However, further inspection is what makes the game afoot. 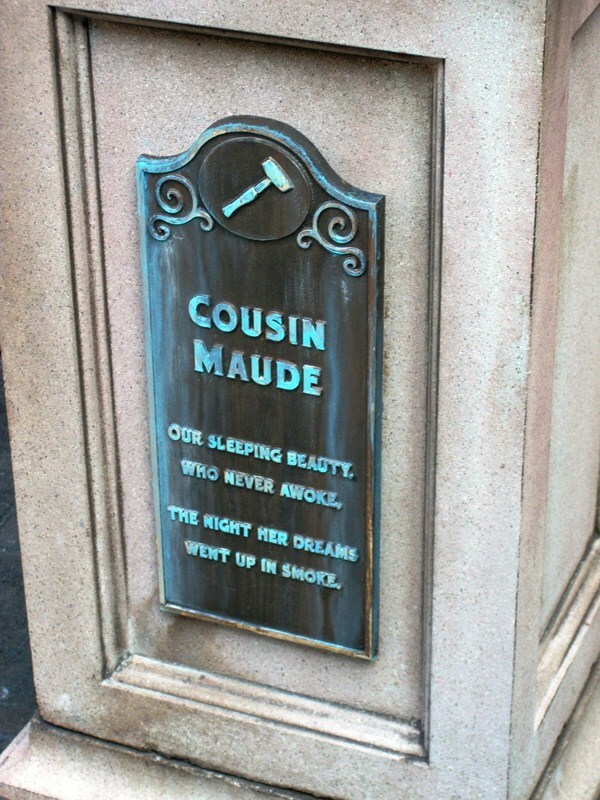 In addition to cause of death, each plaque also includes an item near and dear to the dearly departed. 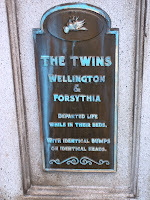 While each is vile in its own way, these emblems are the clue to who each family member murdered.
. I’ll post the cryptic solutions on the Facebook page on Sunday afternoon. 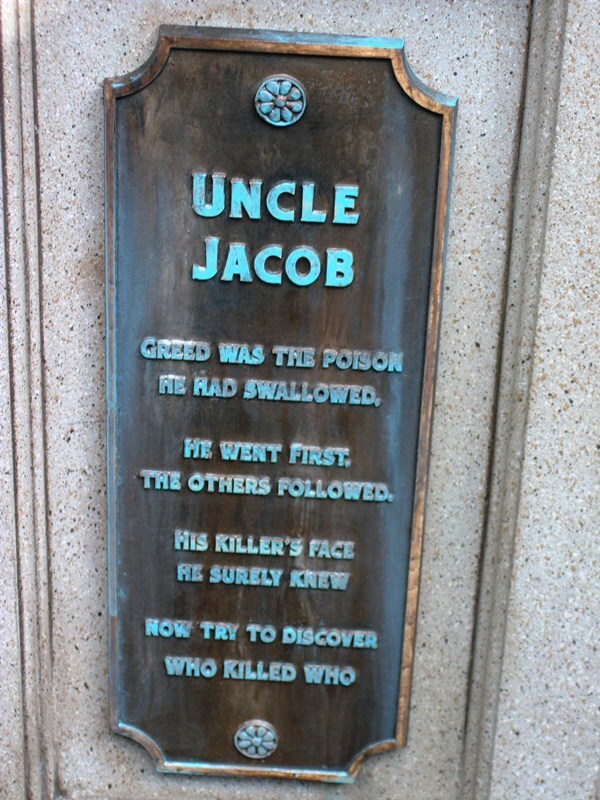 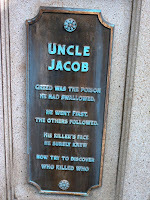 Uncle Jacob went first. 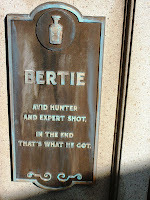 He drank poison served to him by Bertie (probably harvested from snake venom). 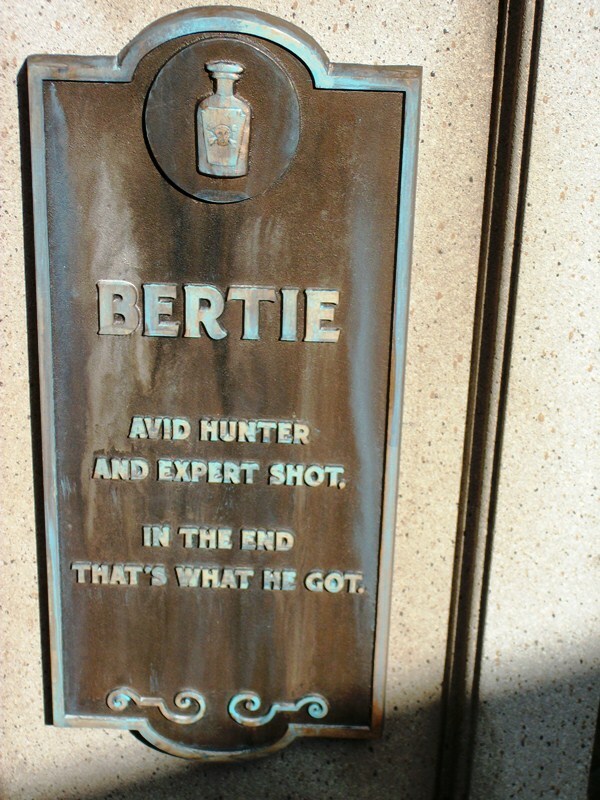 Bertie was shot by Aunt Florence. 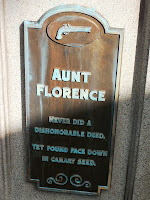 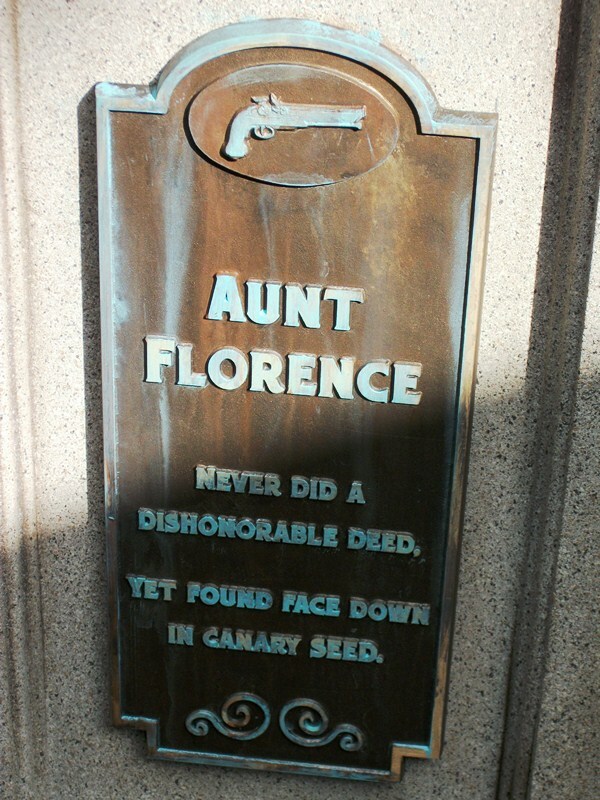 Aunt Florence was killed by the twins (after they discovered their canary was dead). 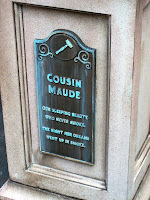 The twins were killed in their sleep by hammer bashes to the head from Cousin Maude, who later died in a fire.